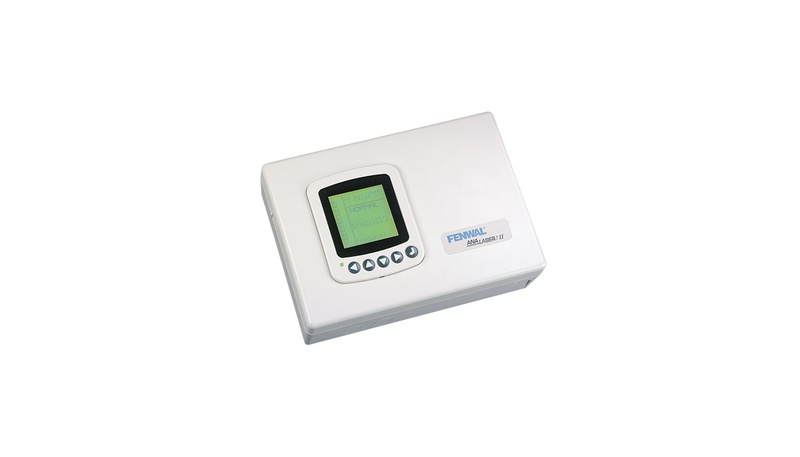 The Fenwal AnaLASER II System puts you in control of every fire situation. AnaLASER is a powerful early warning detection system that distinguishes and actually counts individual particles of combustion, in most cases before there are smoke and flames. So AnaLASER can warn you of a potential fire condition hours before traditional spot-type detectors. What's the difference between detection and early detection? On average, some $250,000, per incident. That's because the $5,000 in equipment damage typically sustained from a common electrical fire can easily cost 50 times that in cleanup and recovery costs. And that's just the price of replacing things that can be replaced and of getting your business back on it's feet again. But what about those things that can't be replaced-like lost productivity, interruption of service, and possible irreparable damage to your credibility in a 24/7 world? Downtime for you is downtime for your customers. That, in turn impacts your reputation and, ultimately, your bottom line. And, that's why early detection is so important. Every emergency is different, requiring a different response. You don’t want to discharge your fire suppression system for a waste paper basket fire in a computer room. Conversely, you need a sense a potential fire in a telecommunications facility even before there’s visible smoke. By using AnaLaser HSSD High-Sensitivity-Smoke-Detection and cross zoning with conventional detection, you can provide a safe, reliable backup so your fire suppression system does not discharge when the problem is simply an overheated piece of equipment. Why High Sensitivity Smoke Detection? The AnaLaser Detector’s laser particle counter detects particles of combustion at levels of obscuration as low as 0.00015%/ft. This is sensitive enough to detect products of combustion such as the outgassing of plasticizers from overheating PVC wire insulation and electrical components. It is able to detect small changes in the ambient level of obscuration during the incipient stage of a fire. 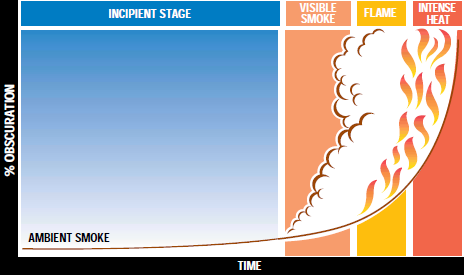 Detection during this stage allows time for corrective action, possibly preventing an escalation of the fire condition, and thus minimizing fire damage.